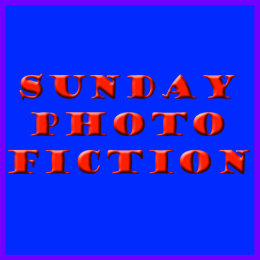 The above link will take you to the rules/guidelines - basically we have 200 words to create a story around a photo prompt. The piece of pottery gave her nightmares. 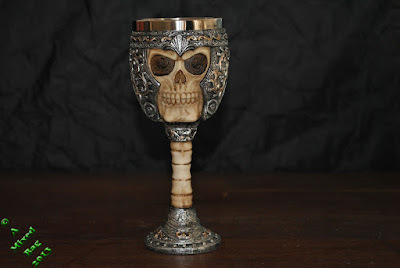 It was grotesque, the skull face, empty eye sockets, grinning teeth, all encased in ivory and pewter and silver and gold design could not be worth as much as he had intimated over the phone. ‘Well now, Ms. Saunders, I understand you want to sell this item.’ His voice made the hairs on my arms stand up. ‘Yes, that is the general idea or I wouldn’t have made the appointment with you and brought it here for appraisal.’ I smiled back charmingly, I might as well use my womanly wiles as long as they lasted. His dark brown eyes under heavy, bushy eyebrows actually looked directly at me. I held his stare, daring him to take advantage of me. I wasn’t a blond bimbo, in fact I wasn’t a true blond at all. We agreed a price, cash exchanged hands and I breathed a huge sigh of relief as I drove away from the sleazy pub where we had made the deal. Aunt Jane is probably turning in her grave but I am several hundreds of pounds richer and I know exactly how I will spend it. Ibiza Club 30 here I come. Excellent way of celebrating a financial win. Go, party like it is the start of her life. The beginning of a scary mystery. The skull in the picture is pretty creepy and set me up for even more of this story ! I imagine there is a huge market for stuff like that, but I wouldn't want it either and would be glad for whatever I could sell it for. Relief that she got her price, or relief that she got rid of the cup? Perhaps it is a more sinister artifact than Ms. Saunders realized. interesting contest ,liked and enjoyed the story ! Cool. That thing is so horrid I doubt I would be able to part with it. Might never drink from it though, lol. Could you imagine putting Halloween candy in it for the kids to make a dare? 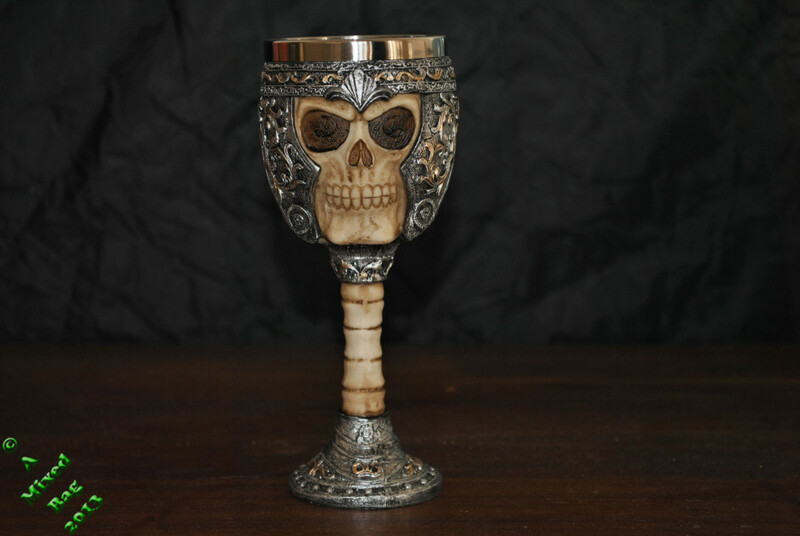 I have this goblet, one with a skeletal hand and two skulls that the top comes off. I have put candy in all of them for halloween, and the kids always took them from the bowl beside them all. They never picked from the others.